Happy Tuesday, all! So sorry for the sporadic posting as of late. I am still recovering from a back injury and then chronic back issues, so I’ve been taking it a bit easier than usual. 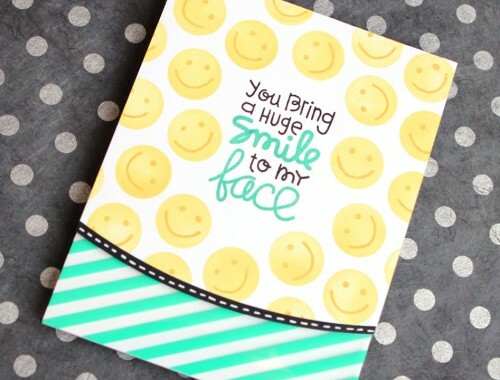 Anyhow, I have a fun card idea for you today! 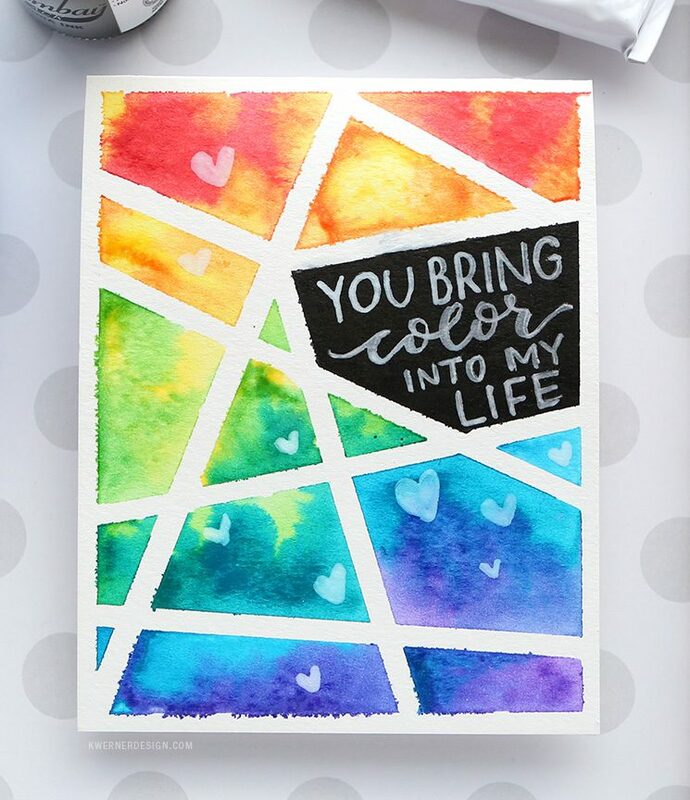 This time I used masking tape and watercolors to create a colorful card. 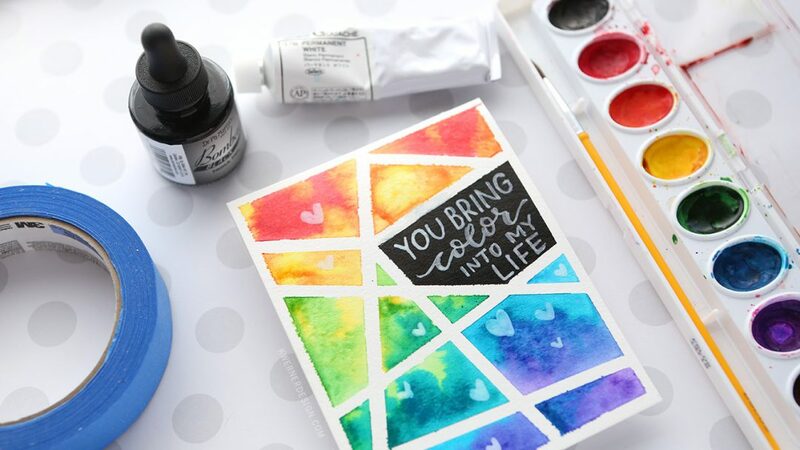 All you really need for the main portion of this card is watercolor paper, masking tape (I recommend Blue Painter’s Tape since it is low-tack and likely won’t tear your paper when you remove it), a craft knife or scissors, and an inexpensive watercolor set. Super easy and fun! To finish off the card, I used a black ink to fill in one section of the design. Then I painted the greeting in white gouache. You could also stamp a greeting if you wanted to. I hope you enjoyed this idea! I think it would be fun as a background that you can die cut, too!